You need to know how to learn Brazilian Portuguese language when you are traveling, working with clients in Brazil, or have friends who grew up in Brazil. There is a divide between how people speak in Portugal and how they speak in Brazil. In fact, people who are in Portugal might want to know the best method to learn Brazilian Portuguese because the languages have diverged so much over time. 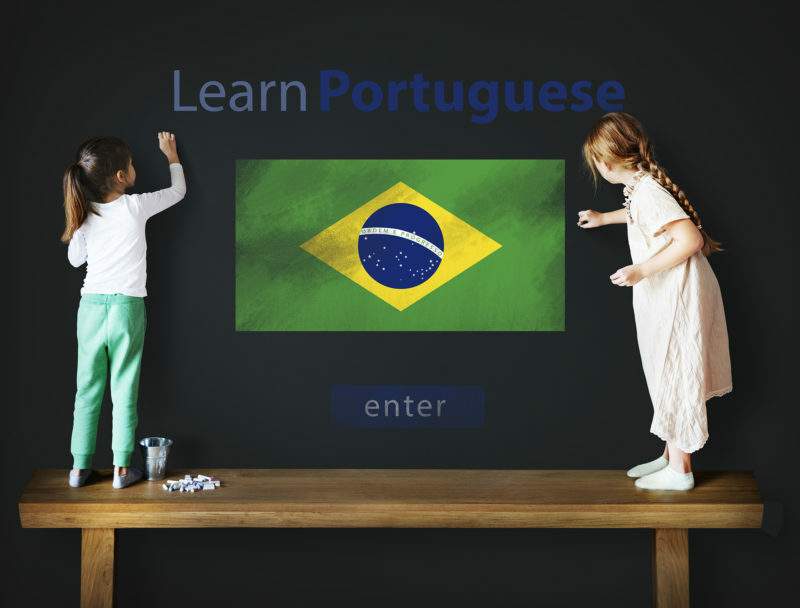 The best way to learn Brazilian Portuguese is to start a program that has a lesson every day, allows you to learn with video and audio lessons, and provides you with a way to speak to natives. You have to work on this program every day so that you will have this language on your mind at all times. You will learn how to speak, read, write, and think in this language as it becomes more a part of your every day life. You are probably asking yourself, “what is the best way to learn Brazilian Portuguese,” because you are traveling, planning on opening an office down there, or thinking about making friends with people who moved up from Brazil. You might need to know how to learn to speak Portuguese fast because you are hiring staff from that area, or you might have neighbors who just moved in. Learn Brazilian Portuguese quickly using a book that lays everything out for you, explains the basics, and lets you get immersed in the language over time. You need to have extra information if you are trying to learn a certain way of speaking, or you could come up with the fastest way to learn Brazilian Portuguese by combining options that are available to you. You could use an app that will walk you through learning the language. There are a number of people who would like to start with the basics without reading a book. The book could be helpful to you because it has real exercises, but you need something that will send you reminders. You need an app that knows if you are correct or not, and you also need to know if you are progressing at the right pace. Some people move far too slow, and the app will start to ask you if you need to review certain things that you are struggling with. The app tracks everything, and it will give you a personalized lesson based on what you know and do not know. The quickest way to learn Brazilian Portuguese is to learn the way that people speak every day. The best method to learn Brazilian Portuguese is to learn how people speak and use slang every day. You must know how to learn Brazilian Portuguese quickly, and you should learn the slang phrases that people are using every day. This is a very simple thing for you to in an app because the app explains why you use the slang instead of the traditional language. You also need to learn how to speak in the rhythm of young people. If you are speaking in the style of an older person, it is hard to relate to people that you have just met. Native speakers will help you when you are trying to learn as you both exchange tips. You must know how to learn to speak Portuguese fast so that you can get conversational in any situation. You need to learn how to do things that will help you learn faster, and you also have to be sure that you are speaking to them every day so that you will get the practice that you need. The quickest way to learn Brazilian Portuguese is to work with people who know it very well. They get to learn English from you, and they will have a very good idea of where your weaknesses are just by talking to you. They can help correct you, and they can show you what they would do to remember all the words that seem to give you trouble. You can do listening exercises that are good for your ear and your thought process when learning. You need to know how everything sounds, and you have to have an idea of how to make new sounds if you have never learned a word like this before. You should listen to the audio lessons so that you can hear the language every day. Practicing the language every day means that you are matching up your written lessons with the audio you hear. You need to learn your vocabulary as you begin to practice the language. The language that you are practicing requires that you know words that will help you build sentences and complete thoughts. You need to have as much information as possible when you are trying to make intelligible sentences, and you should see if there are more lists online that help you learn food, places, names, and office supplies. You could learn locations, and you will learn a number of words that are specific to this language. They do not translate well into English, but they have deep meaning in this language. You also need to be sure that you have practiced a new word every day. This is something that you can do to feel more confident because the words you learn will give you a deeper meaning of how to speak. You are learning how to speak almost in poetry because that poetry will change the way that you see language learning. Studying with video is one of the simplest things for you to do because that makes it easy for you to see what the language looks like when someone speaks it. You must also have a video lesson that might write out words for you and explain how these words are used in the language. You should take a look at all your options so that you know what it takes to write and type correctly. The videos will mix the spoken language with the writing, and that makes it simpler for you to have an image in your head of how the language looks, how it works, and how it sounds. Knowing how to learn Brazilian Portuguese language will help you with business or personal talks. You have asked, “what is the best way to learn Brazilian Portuguese,” because you need to know how it will work as compared to English. The best way to learn Brazilian Portuguese is simpler when you combine all the techniques, and you can build for yourself to fastest way to learn Brazilian Portuguese.